Although a lot of homeowners and avid gardeners go to great lengths to ensure that, for example, their daisies and petunias are separated via a stylish garden path, they don’t tend to focus much on what type of garden fence they’ll add in. Big mistake, as the garden fencing you choose will either make or break your garden! 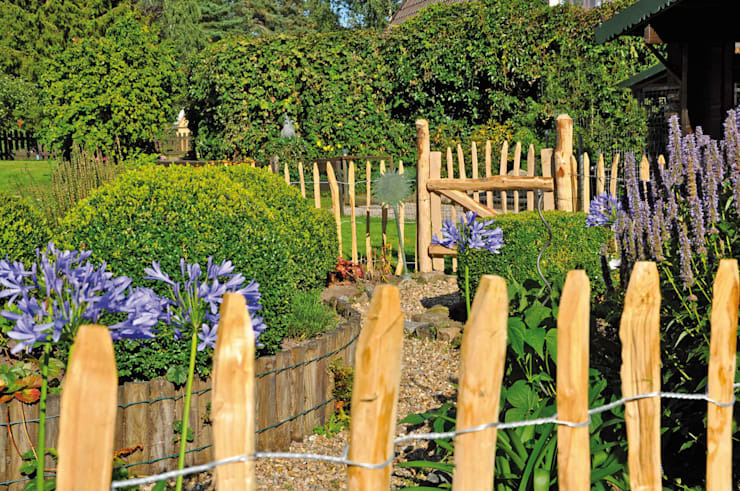 In addition to enhancing your garden’s look and theme (whether that be Alice in Wonderland, sleek and cutting-edge, or simply lush and natural), a garden fence can also keep those nosey neighbours at bay and ensure some privacy for you and your family. Sound good to you? 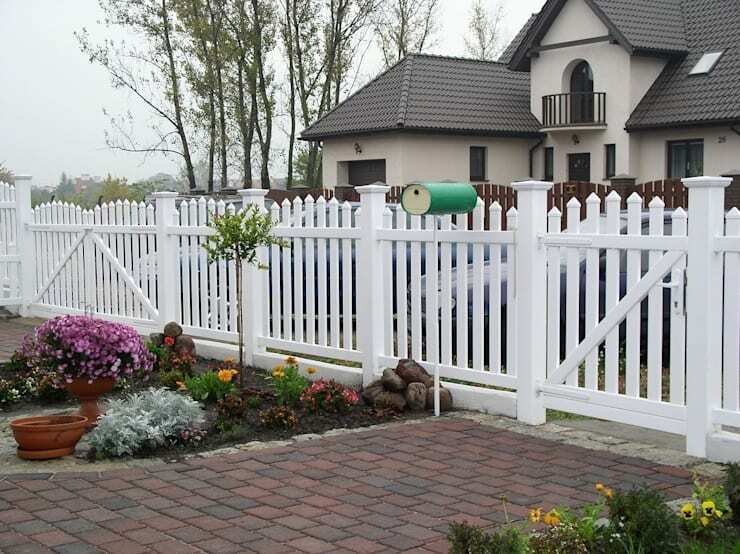 Then get ready for these 18 prime choices when it comes to garden fences – you are sure to find the look and style to fit perfectly with your garden back home! 1. 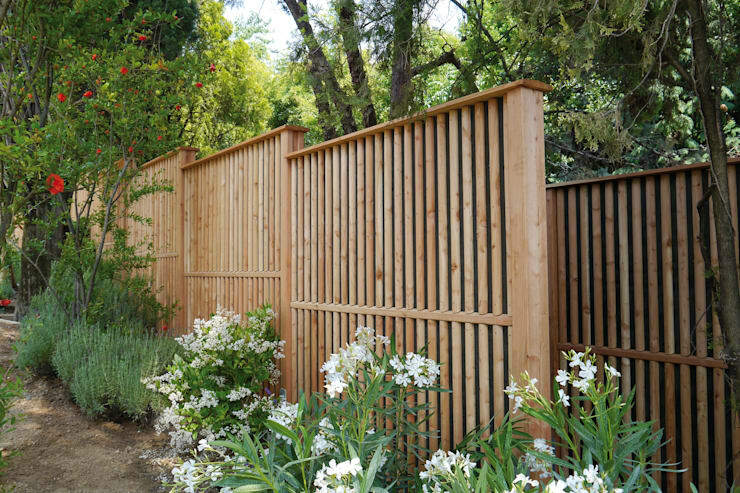 Simple timber fencing: timeless, straightforward, yet very stylish. 2. 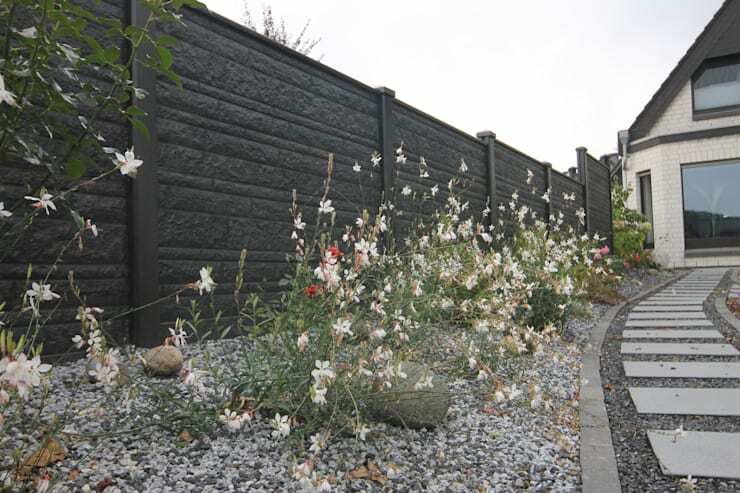 Concrete fencing flaunts a real look of authority to go with your expertly maintained garden space. 3. Want a striking look? Then how about a mix and match between stone gabions and bamboo? 4. Rusted steel makes a raw and rustic statement if that’s what you’re seeking. 5. If the cutting-edge look is for you, then how about this shiny stainless metal beauty? 6. Wooden stakes can make for an informal, appealing look. 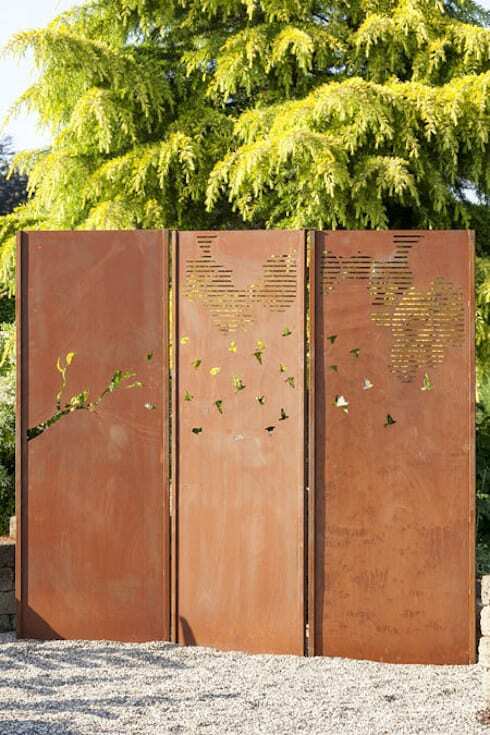 Be sure to see our huge range of garden accessories and decorations here on homify. 7. 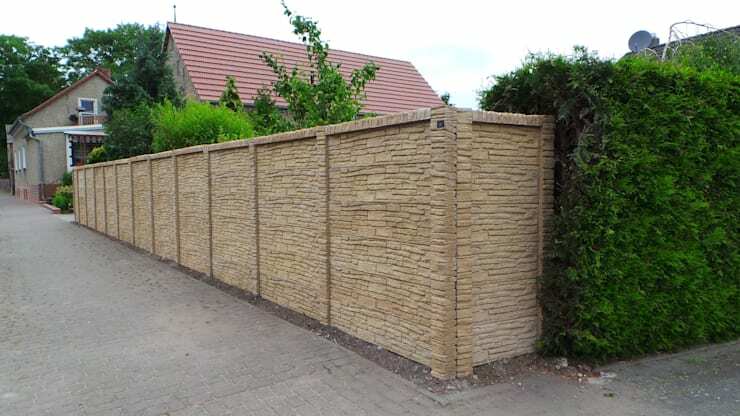 Blocks of stone are technically more of a wall barrier, but you can opt to use narrow blocks for a more delicate fence look. 8. 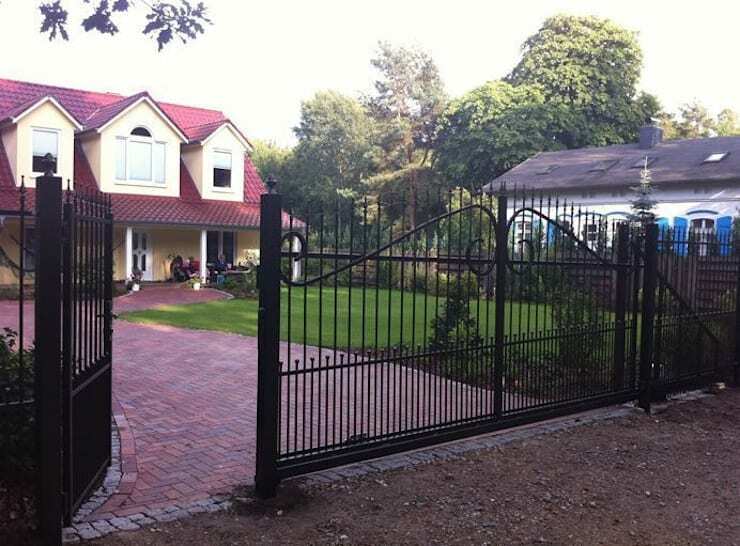 The wrought-iron look is fully customisable, allowing you to flaunt a myriad of different looks and styles with your garden. 9. 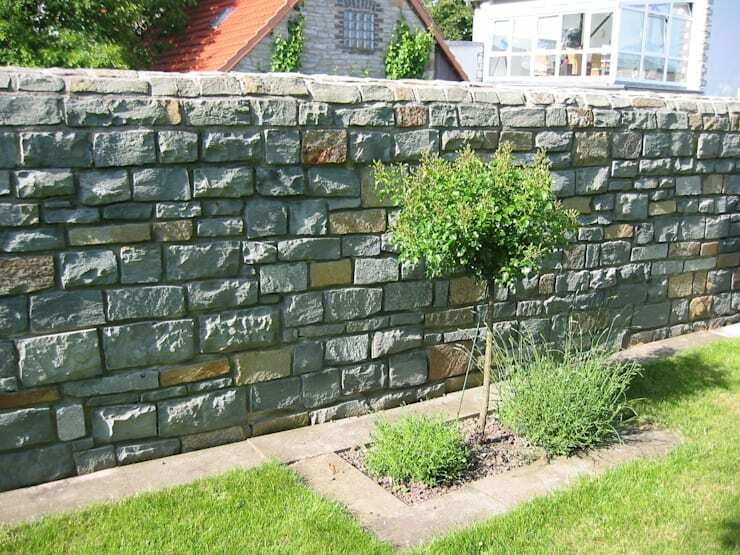 Faux bricks look strong and heavy, yet go up as easy as standard fence panels! 10. 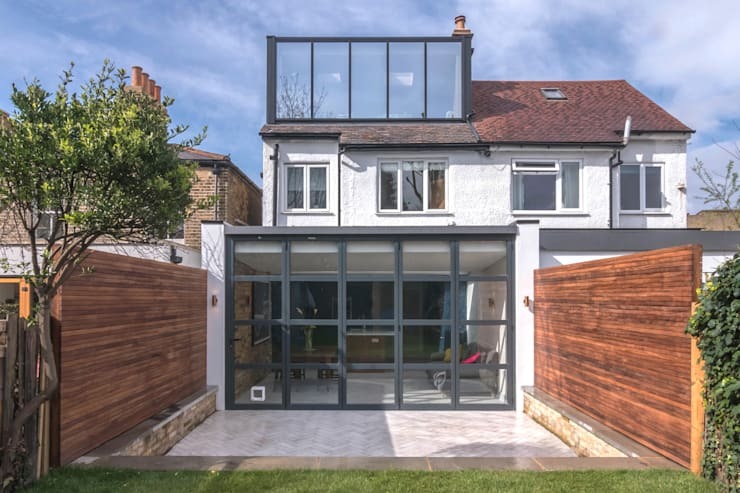 Want to tease the neighbours with some glimpses into your secret garden? 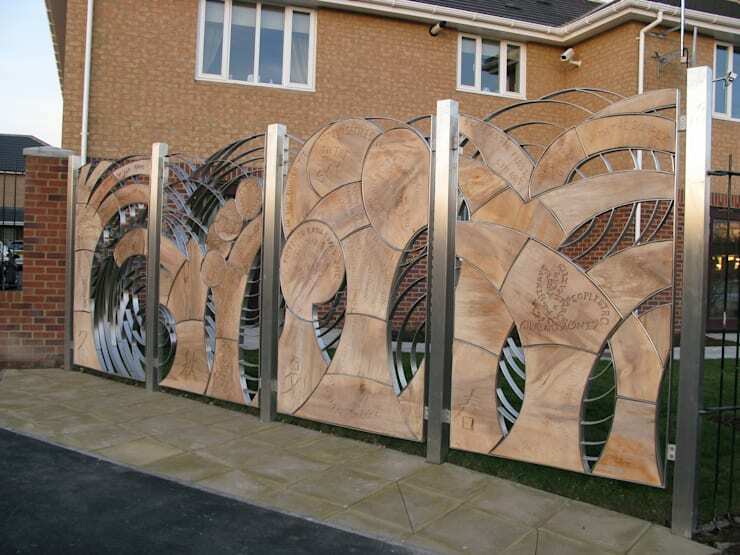 This cut-out fence design ought to do it. 11. 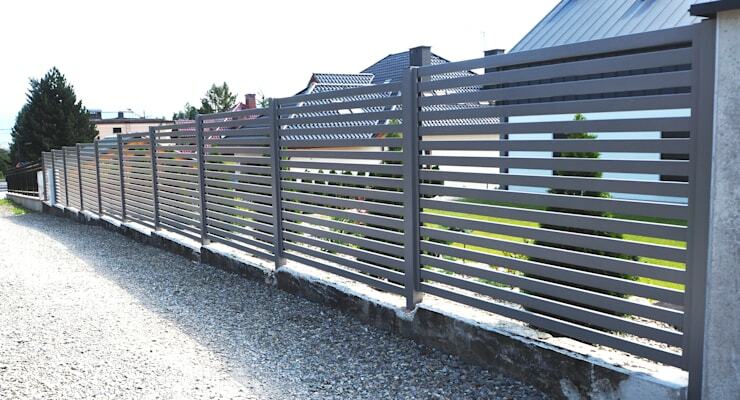 Woven fencing: for that charming, homely, very organic look and feel. 12. 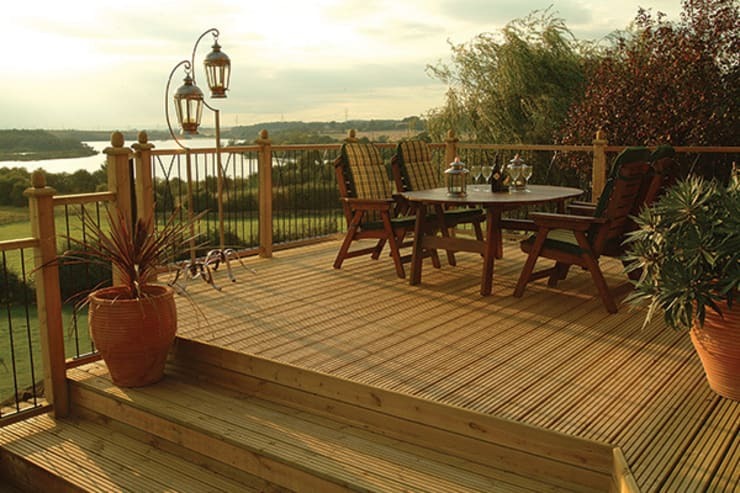 Simple timber and metal stripes for a barely-there look that helps to keep that view stunning. 13. Is there anything better than the white picket fence? This look resonates with clean suburban areas and loving families. 14. 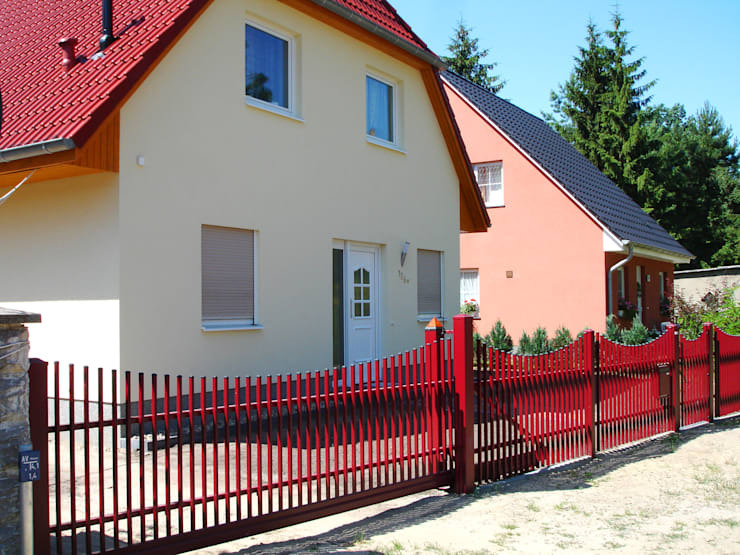 How about adding some colour to that metal fence, like this candy red? 15. Wooden panels ensure a completely opaque look, as well as a super contemporary one. 16. 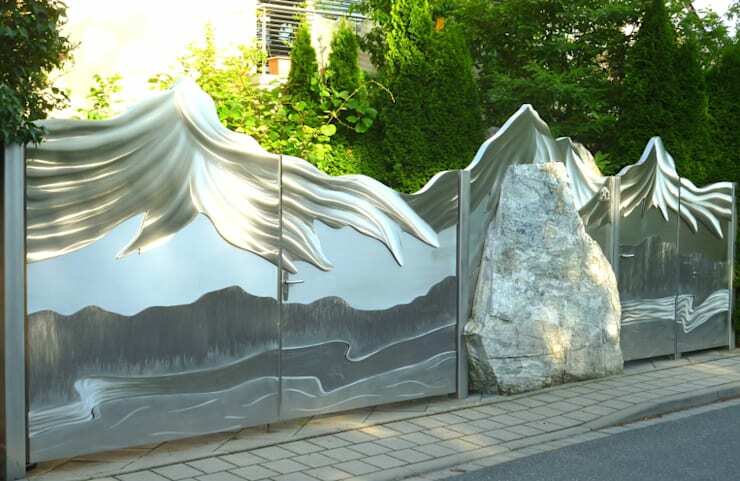 Why not add some art to your garden? 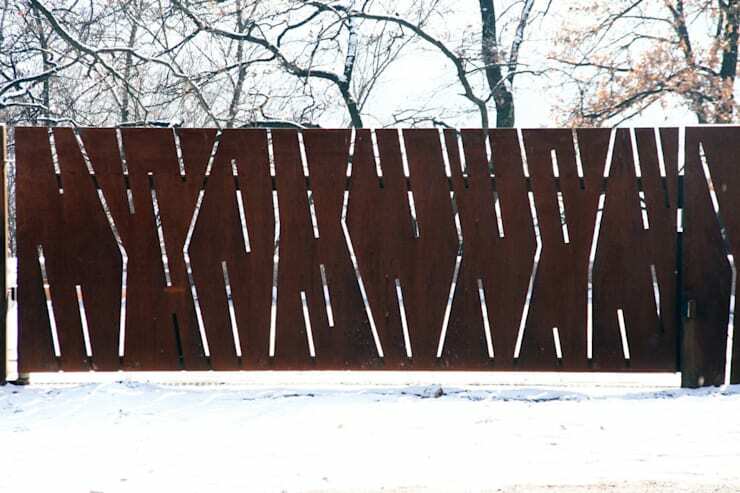 This wood-and-metal creation is ideal for that abstract look. 17. 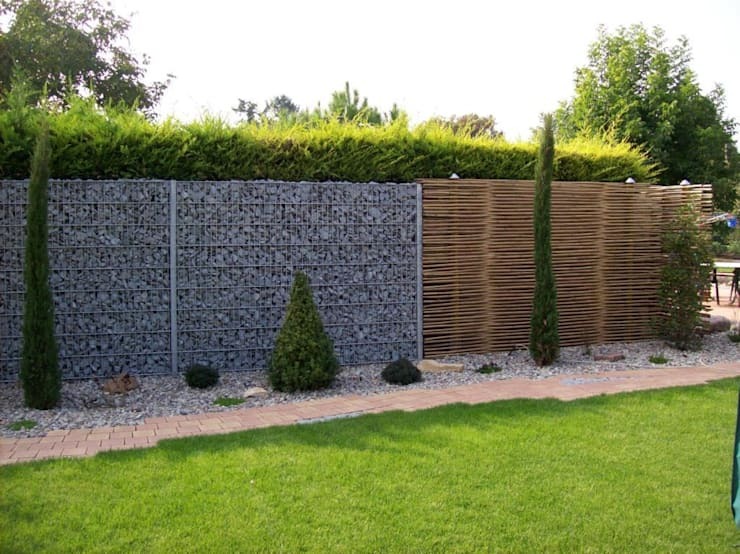 Striated fencing is always a winner; it acts as a visual deterrent, yet still allows plenty of light into your garden. 18. 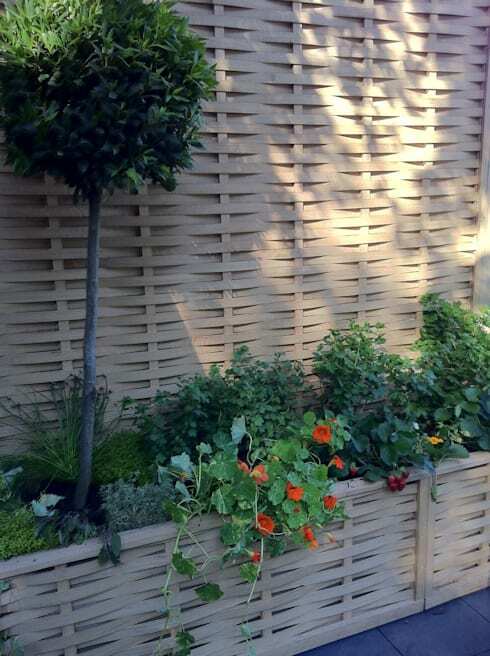 Trellis fencing adds pattern and English-garden style to a space – and even more so if it’s painted in a fabulous colour. Want to learn the tricks on how to: Create Your Own English Country Garden? 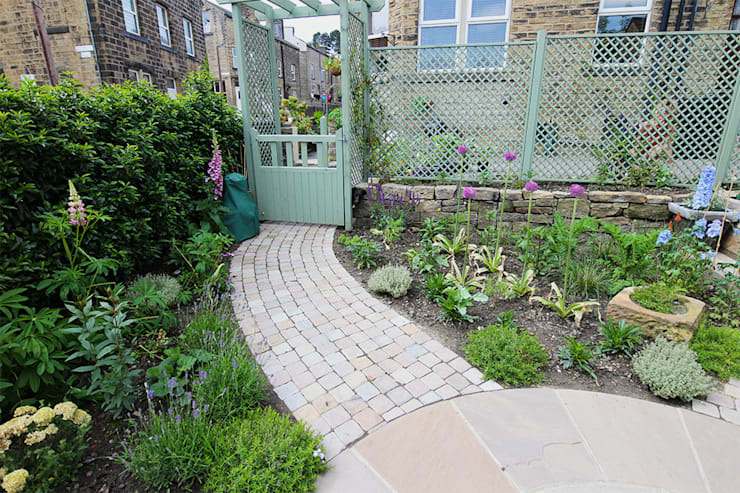 Which of our choices above would you pick out for your garden?